Welcome to Affordable Plumbing & Electric Inc. 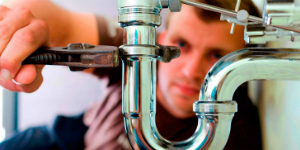 Does your home have a plumbing leak? A slow leak is annoying and can be damaging the inside of your home. Slow leaks can also lead to mold growth and other major problems in homes. Frozen pipes can also create a plumbing leak. A slow or completely blocked drain can cause a stinky, expensive mess. We can unclog any drain, any time. If it’s slow, call us now before it creates an unsafe, extremely uncomfortable condition. We clear clogs from kitchen drains and disposals, Tubs and shower drains, Sewers and toilets. Have a leaking faucet in your kitchen or bath? Don’t go and buy a new faucet or fixture if it can still be repaired. Let us look at the problem and repair your fixtures like new again. If you decide new fixtures and/or faucets are what you want then we can help in deciding what’s best for you. Pumps are used throughout society for a variety of purposes, irrigation, water supply, gasoline supply, air conditioning systems and refrigeration. Installing, maintaining and servicing pumps can mean the difference between a smooth running system and a mess. We can service and repair water pumps, pool pumps and sump pumps. Our Technicians are Water Heater Specialists, equipped with all the necessary tools and training to properly diagnose, repair or replace any water heater. Natural Gas & Propane Water Heaters, Electric Water Heaters, Hybrid Water Heaters, Flue Piping, Venting and Gas Pipe Installation. Re-piping is a process of replacing the supply pipes in a dwelling or business. It is not a temporary fix or a replacement of short sections of pipe, but a complete replacement of your supply plumbing system. We work with you on any electrical issue you may have within your home. We pride ourselves on having the ability and expertise for whatever is needed. We focus on getting the problem fixed fast and efficiently. Each lighting installation job we undertake with dedication and care. Whether your project is simple or complex, we’ll take the time to complete it on time, within budget. Interior and exterior lighting and fixtures. We want you to come away satisfied for having chosen our team; and we’ll go the extra mile to prove how committed we are to excellent customer service..
Don’t chance it with fly-by-night electricians. 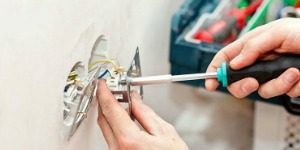 When you need circuit breaker replacement work, reach out to the trusted professionals at Affordable Plumbing and Electric Inc. Call us today for more information or to schedule an appointment. Don’t let a power outage leave you stuck at home or at work in the dark. We are your trusted provider and installer of home and commercial generators on the shore. We can help you protect your family from an unexpected loss of power. 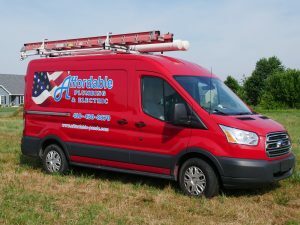 Affordable Plumbing and Electric Inc. has been serving the community for over 15 years. John and Tracy Middleton strive to provide the highest quality service in all that they do. If you’re in need of any plumbing or electrical work Affordable Plumbing and Electrical Inc. will be there for you in a timely manner. They provide many services throughout the shore, like In-Home electrical service, plumbing repairs, re-piping, total home re-wiring, drain cleaning and Roto services, fixture replacements, fan installation and any other plumbing or electrical need. John Middleton is a Master plumber and general electrician serving you in Sussex county in DE and Wicomico, Somerset, and Worcester counties in MD. I am a computer technician. While I was repairing a customers computer, they told me about how Affordable Plumbing had just fixed a major plumbing issue in their house. I asked for their number and put it aside in case I ever needed. About 6 months later, when my cheap blue-hose water main blew, I called. They responded quickly and replaced the main for a fraction of what the internet had me believe I’d be paying. I will be calling them for any plumbing issues I have from now on. I would like to express my appreciation to John and his partner from Affordable Plumbing and Electric for the prompt courteous service for my busted water pipe. Thank you so much. I will be calling you for all my plumbing and electric needs. And they really lived up to the name as well. I had a huge leak coming from my water supply line, which I learned from the city is still my responsibility, and John from Affordable Plumbing & Electric came out, check the situation, gave me a quote, and then called Ms. Utility immediately to get started. He was quick and efficient, thorough, courteous, and inexpensive compared to the other quotes I got. I would use them again, 5-stars! They were prompt, knowledgable, and cheeper than their competitors. They came within 15 minutes after call, they found easier solution to our plumbing problem than others and saved us a lot of time and money.